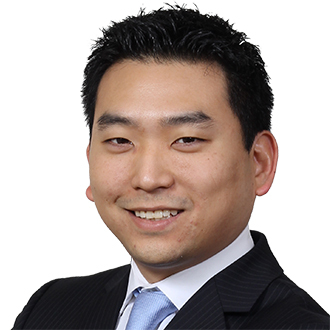 David Kim focuses his practice on the representation of employers in labor and employment law matters. He advises clients on employment discrimination laws, hiring, discipline and discharge, compliance with federal and state WARN regulations, implementing personnel policies and procedures, compensation, wage and hour laws and worker classification. David also represents clients in state and federal court in a variety of employment-related claims including unlawful discrimination, harassment, breach of contract and wage and hour class and collective actions. Prior to joining FordHarrison David worked as a labor and employment associate in a large, New England based law firm where he managed all aspects of multi-million dollar complex litigation. During law school David served as Articles Editor for the Seton Hall Law Review. He was also a member of the Interscholastic Moot Court Board where he earned the awards of Regional Champion, Best Regional Brief and Seventh Best Regional Oralist while competing in the American Bar Association National Appellate Advocacy Competition. Dave is a regular contributor to the current FordHarrison Blog, EntertainHR, an informative look across the landscape of television, movies, sports and celebrity culture from an employment-law perspective. The website is available at http://blogs.hrhero.com/entertainhr/. Represented real estate company in connection with claims of wage and hour violations under federal and state law. Obtained judgment in favor of employer and dismissal of all claims after bench trial. Represented electricity and gas company in connection with unpaid overtime claims under the Fair Labor Standards Act. Obtained dismissal on motion to dismiss based upon preclusion under the Labor Management Relations Act. Represented retail chain in connection with large-scale Department of Labor audit regarding worker misclassification and alleged overtime violations. *David was selected to the Super Lawyers list issued by Thomson Reuters. The selection methodology is found here. No aspect of this advertisement has been approved by the Supreme Court of New Jersey.